(Newser) – Bank of America knew that AIG was about to try to sue its pants off as far back as January, but it never told investors on any of its conference calls or in any of its regulatory filings, sources tell Reuters. Public companies are supposed to disclose legal threats to their stock prices, and when the $10 billion AIG suit was announced earlier this month, it sent the bank’s stock plummeting 20%. Es ist einfach durchzuführen, da die Do-it-yourself-Arten sind in der Regel weit weniger als wagen sich immer brautkleid empire Menschen und kostspielige Einzelhändler Unternehmen versions. One Gesichts können Sie testen, würde der Anteil der Haferflocken Gesichtsbehandlung sein. Arbeiten Sie meerjungfrauen brautkleid mit regelmäßigen Hafer ohne zusätzliche Zutaten. Mischen Sie nur einen Esslöffel auf dem Teil der Haferflocken zusammen mit einem Teelöffel insbesondere in Bezug auf Backpulver. If you think "maybe we shouldn't tell the investors", you probably need to tell the investors. 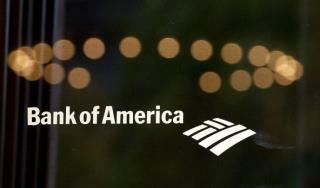 I had a BoA account back in the day.. they fee'd me to death until I finally walked away. Why anyone does not use a Credit Union instead of these greedy bank bastards is beyond me.